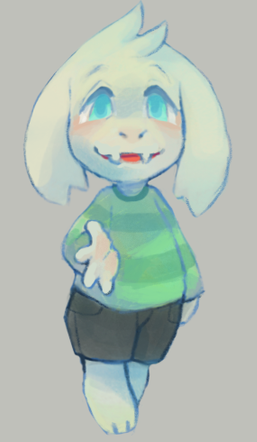 Looks: Asriel takes the appearance of a humanoid goat. He is a simple child wearing a long-sleeved, stripped shirt. He also wears plain pants,and on his face small endearing fangs. His eyes are a bright blue color, and are very round. 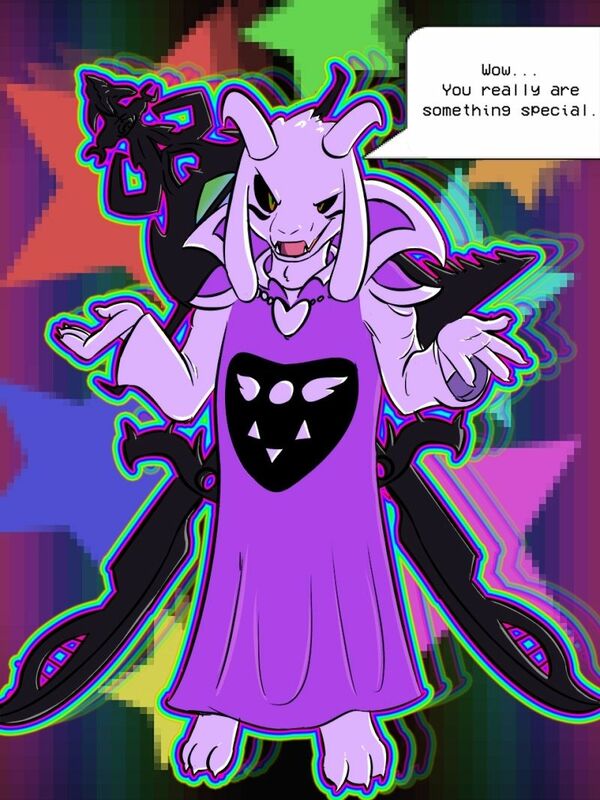 Battle: When he uses somebody's or his own soul(using his own sould for power shortens his lifetime) the whites of his eyes turn black, his fangs grow, and he grows horns and wears a long robe with the Delta Rune on it, similar to his mother Toriel's outfit. Hyperdeath:When using his full power, his horns grow, his teeth all turn sharp, he grows large red-and-green wings, and his entire lower body morphs to appear sharp, demonic, and mechanical - everything below his waist becomes one sharp down-pointing heart shape. Extra: When he uses his own sould for battle form his eyes stay blue. Accessories: A green t-shirt with yellow stripes and blue pants. 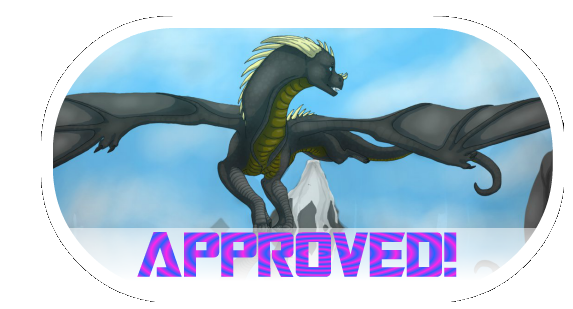 Special abilities: To transform into battle form. At age 10. He heals faster than most. Gas Mask- A Large gas mask appears and spews a hot gas in random directions. Personality: Asriel was "a bit of a crybaby", somewhat cowardly and docile. He's a kind and loving child who loved jokes and pranks. He always loves being with other people and knowing that he can trusts somebody. He will always try to fight and protect his friends, but he is not very forgiving over his own mistakes. Asriel doesn't like conflict that much, so it is usually his last resort. 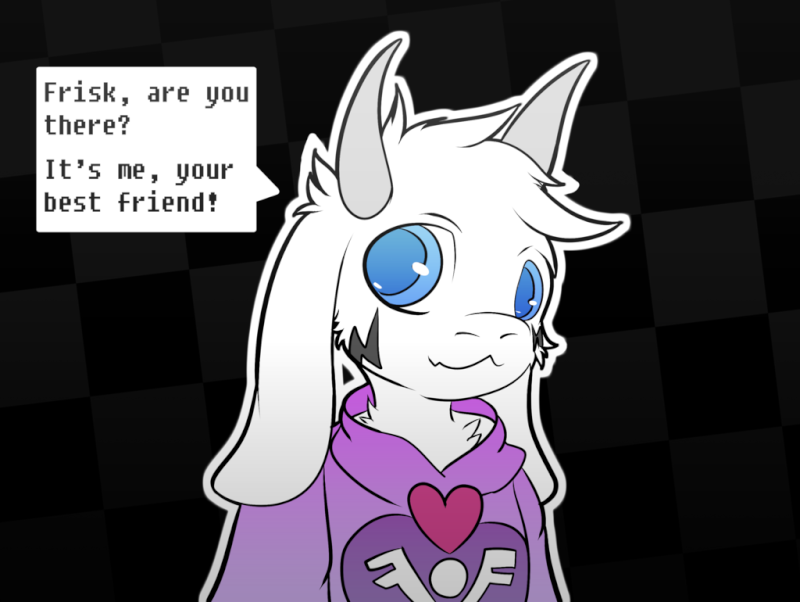 History: When the fallen human stumbled into the Underground, Toriel and Asgore adopted them as a second child to Asriel. Asriel became good friends with the human, but they bullied him into helping them with their plan, which involved letting Asriel absorb their soul to be able to cross the barrier, then taking six human souls to destroy it. The human poisoned themself and made a last wish to see the golden flowers of their village, which was on the surface past the barrier. After the human died, Asriel absorbed their soul and fulfilled their last wish by taking their body back to their village. However, the humans of the village mistakenly assumed that Asriel himself had killed the child. Through the power of determination, Asriel was able to bring the first human's body to a bed of golden flowers in the center of their home village, endure relentless attacks.